GadgyNews, an Indian tech news website, announced a wide range of informative pieces on the latest smartphone, laptops, tablets and other devices, including Vivo V15 Pro, Oppo K1, and many more. GadgyNews, a technology news website based in India, announced its official launch, featuring news from a variety of IT and technology areas. From smartphones to laptops, cameras and various others, the website aims to keep its readers up-to-date with the latest devices and innovations. More information can be found at http://gadgynews.com. With the rate of technology innovation faster than ever before, keeping up with the latest developments can be challenging. GadgyNews aims to provide an accessible way for anyone to stay up-to-date with the latest gadgets, offering detailed specifications, shopping guides and other resources. 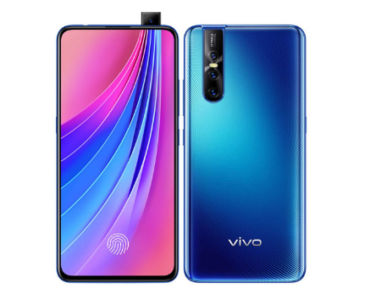 The website features a concise presentation of the Vivo V15 Pro, a new smartphone with an impressive 32-megapixel pop-up selfie camera and other attractive features. Launched earlier this February, the smartphone is priced at less than 30,000 Rs, making it ideal for those looking for a high-performance device at a competitive price. According to GadgyNews, the strong points of the V15 Pro are its triple cameras on the back (individual cameras having 48, 8 and 5 megapixels), as well as its powerful 32-megapixel selfie camera. The fast unlocking system is also ideal for users looking for a secured and accessible way to protect their device, while the 3700 mAh battery ensures a superior autonomy. The gadget news site also features an overview of the Oppo K1, another new smartphone launched in India this February. Website visitors will also find articles on the latest laptops, cameras, televisions and other gadgets. GadgyNews also announced that it will continue to provide consumer-centered news pieces and technology reviews to help its readers find the best information on the latest devices. A spokesperson for the company said: From fridge freezers to smartphones, laptops to smart homes, we re here to help with all life s kit whatever it is and wherever you bought it.